Donald Alan Schön (1930-1997) was an influential thinker in developing the theory and practice of reflective professional learning in the twentieth century. American and influenced by Dewey. Schön’s seminal 1983 book, The Reflective Practitioner – technical knowledge over artestry (link to pedagogoy being about science, art and craft A.Pollen). Wood, Eric & Geddis, Arthur.N. 1998. Self-conscious narrative and teacher education: representing practice in professional course work. Published in Teaching and Teacher Education 15 (1999) p107-119. What the literature said in 1997 about teacher education. This article was written in 1998 (around the time that I undertook teacher training). I think that it’s a forerunner for ‘congruent teaching’ called in this paper ‘self-conscious narrative’. ‘Self-conscious narrative’ supports trainee teachers with their developing pedagogical thinking. The paper refers to teacher education research conducted by Houston, Bennett & Carre and Sikula. Schon is also referenced on ‘technical rationality’. Schon’s writing argues that quantitive (scientific) research isn’t always suitable for teacher education as the research base tends to be studying the “expertise displayed by competent professionals” (p108). Qualitative research being the preferred type of research for teacher educators (which does necessarily fit in with the research profile of the university and the REF). Wood and Geddis use the paper to investigate how teacher educators in university prepare trainee teachers for life in the profession. Which they see as “a complex, content specific enterprise inadequately explained by applied science conceptions of practice”. Teacher educators need to make explicit the implicit (p108) messages imbedded in the teacher educator’s practice – so explaining the form of the content? teacher educators are different to the other academics within a university as their pedagogical practice is intertwined with their professional practise – as they teach about teaching (different to the business lecturer who teaches about business). A boring, dull physics lecturer is not modelling the content – however a boring, dull education lecturer will have an implicit impact on his/her students if the content is about education. How can you teach about active learning techniques in an hour lecture to 200 students, without sending out a mixed message about the content? is your lecture worth staying awake for? There needs to be “coherence between the explicit and implicit messages of its instruction” (108). Do we need to talk to the trainee teachers about the dangers of this at the start of the academic year? have things moved on from 1998? are we in fear of them moving backwards as the university goes for cost cutting measures that will pull up the class size? will schools be able to develop pedagogical thinking if a trainee teacher only learns by doing the job and never has time to question the explicit and implicit philosophy of the purpose of education? What’s teacher education all about? I’m a teacher educator – or am I? 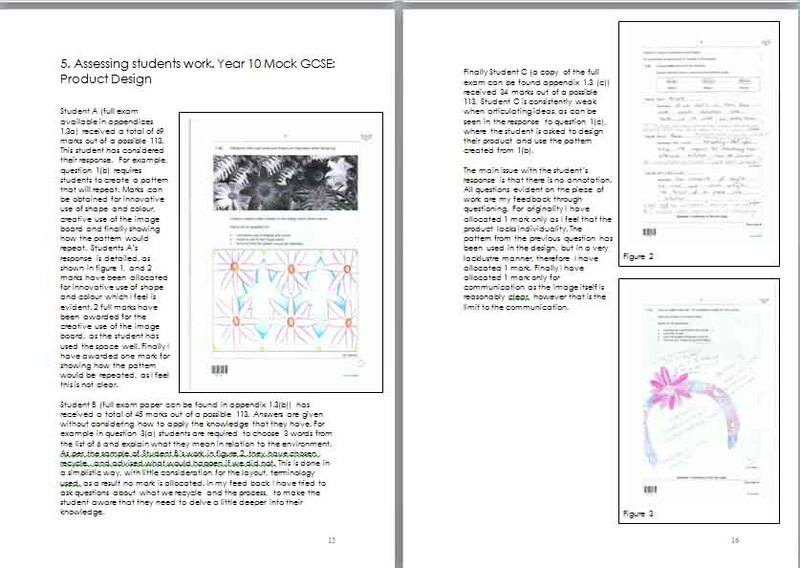 I worked for 10 years in a comprehensive secondary school teaching Design and Technology (plus some Child Development, ICT and Art & Design). I was promoted to Advanced Skills Teacher status, which recognised my work in the classroom and meant that my teaching role included suporting other teachers within my school and across the county. I was employed at my university for my professional skills rather than my academic/research skills. Three years into the post and I now need to develop my research skills (something encouraged by the SOE). But how do I develop my research skills within a SOE that holds a developing (low) research profile? I feel unconfident about doing research, an opinion shared by Burton and Bartlett (2005) who want teachers to see that research is something they do every day and not “something that other (usually very learned or expertly trainned) do” (p14). I’m also not feeling very supported – although the SOE are encouraging research they aren’t able to offer the support mechanisms e.g. role models and collaborative research avenues that are sited as best practice (Griffiths, Thompson @ UCET 2010). So I’m adopting my research role model from the UCET conference and I’m going to emulate their research on myself. Ellis and McNicolls (UCET 2010) are investigating the work of teacher educators in order to conceptualize teacher education as academic work. 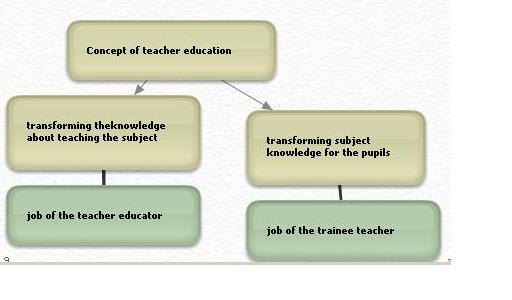 I also wish to find out ‘what is a teacher educator?’ So I’m going to describe my own work – via this blog to give me a starting point for investigation. and I will blog at least once a week – discussing the work that I do and posting artifacts that I am involved with. Thought I’d capture my thoughts on the how the mentor meeting went this May. In the past I have left Andy and Alan to run this session – so it was the first time I engaged with the content. The session was aimed around getting the mentors to moderate across the schools (slightly false as they weren’t going to watch students teach – just compare their observations and interim reports. At first the session got dominated by mentors that had issues with tie trainees. On reflection – you can see that the mentors who are having issues nearly always attend (as they want a forum to moan – but you could also see its cause their often stumbling (not had a trainee like this before) and want some support). By getting the mentors to identify what level of student they had and then resetting them with comparative trainees – this was really good for letting the mentors with strong trainees escape from the moaners. The mentors gave very positive feedback about sharing ideas with other mentors and having the time to discuss the different levels. issues that were raised discussed inconsistency in trainees having the opportunity to trial theri own scheme of work. and that assessment comes at th end of the practice. Need to consider further how to support mentors with improvmnt lanning. Paul pointed the use of the TDA guidance booklet on meeting the dstandards which is also avaialble as a website. Had a chat with Don today about a workshop that he attended the other day. The facilitator had got the group making filling ‘post it’ notes with; thinking – feeling – saying – doing. The ‘post it’ notes were then displayed around the room. This sounds like a good idea for getting the PGCE trainees to reflect and target set at the end of their SE1? He also mentioned an activity getting the group to think a miracle had happened and they went into work what would they see? or how would they know that the miracle had happened? this would be a way to identify the success criteria and hopefully work out the steps to it happening. To support this the final activity which he recalled was when the facilitator asked them to talk to their partner about a really good weekend and what they would do to plan for this to happen. Not sure how I’ll use that then.